patent, copyright, trademark registration & other related services in Bangladesh. Our dedicated group of trademark specialists have a wealth of experience in relation to trademarks Prosecution and Opposition. LAC advise both its domestic and foreign clients who intend to sell their product in Bangladesh on the availability and registration ability of a mark, file trademark applications and prosecute them through to registration. Indeed we face any complaints and oppositions that may appear along the way; we deal with post registration issues including renewals, and we enforce trademark rights against third parties and file suits, that is trademark litigation, if necessary for trademark cancellation or permanent injunction. Our IP team has a great deal of experience in advising clients in relation to copyright and related rights such as database rights. We advise clients in relation to domestic copyright laws and the increasingly harmonised international laws (Since Bangladesh as a member country of World Intellectual Property Organisation-WIPO) impacting on the digital marketplace. We also regularly advise clients in relation to copyright in computer software. 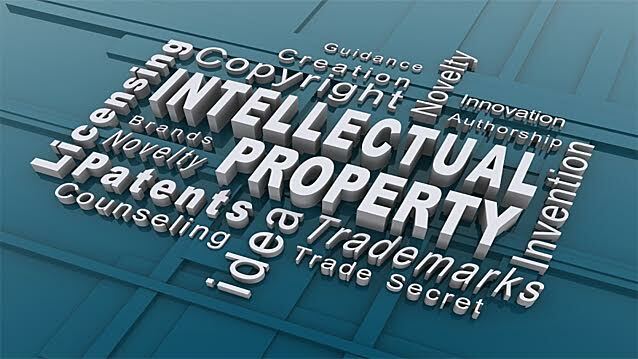 LAC have have connections with a wide array of proffessionals who can define and designate patents with proper specifications and LAC in association with them is well equiped in filing patents with proper demands. LAC also have experience in litigating patent disputes. We have vast experience in advising clients in relation to protecting and enforcing rights in Designs, both registered and unregistered. Our service also includes filing for design registration. We advise clients how to protect and exploit their brands. We work closely with clients to appreciate the nature of their businesses in order to achieve their goals in protecting and exploiting their brands effectively and efficiently. Our work includes: filing trade mark and design applications and prosecuting such applications through to registration; ensuring the appropriate agreements are in place to exploit the brand. Our IP team have extensive experience in litigating IP rights, and this experience comprise in-depth knowledge of the extent of the law and in dealing with day-to- day matters. Information Technology now-a-days amazingly a vibrant, fast-forwarded sector that often entails specialist legal advice. We have experience of advising a wide range of media clients who are involved in areas such as film, TV, entertainment, news media, advertising, publishing, communications and PR. We have skilled members in dealing with regulatory and commercial issues faced by new and innovative technologies in the IT space and also advise on legal aspects of social media and user-generated content on websites. We also have experience in dealing with the Information Communication Technology Act 2013 that deals with issues like threats on privacy or harassment or humiliation of a client in social media or generally on internet. In addition to specialist legal advice provided to the clients like patent, copyright, trademark registration & other related services in Bangladesh, at LAC clients are able to access a wide range of commercial legal services within the firm, providing integrated and tailored solutions which meet a variety of business needs. This includes advising clients on a wide range of corporate and employment law matters, domain name litigation, unfair competition litigation, litigation (from IP litigation to contractual disputes), and all areas of commercial property. LAC in doing patent, copyright, trademark registration & other related services in Bangladesh has regularly advises clients in relation to confidentiality and non-disclosure agreements in a variety of commercial contexts. Such agreements incline to be put in place by parties at the start of a business relationship or as a pre-condition in considering to enter into a business relationship. They can frequently be one of the most important agreement between the parties and thus it is very important to get these documents accurate and to ensure that any burdensome obligations are avoided. Our LAC team always delicately handle such situations with professionalism. We have substantial skill in reviewing and drafting confidentiality agreement and non-disclosure agreements to cover various different scenarios and that always save the contracting parties from trouble since the parties often enter into agreements without paying very much or any attention to ensure as to whether the confidentiality and non-disclosure agreement is suitable for that purpose . We enjoy working with clients in the media and entertainment industry. We have experience in advising, amongst others, rights holders, brand agencies, advertising agencies, film financing and production houses, on all matters touching on intellectual property rights including commercial agreements, sponsorship and endorsement deals, corporate arrangements and employment law. The LAC not only offers patent, copyright, trademark registration & other related services in Bangladesh but also has massive involvement in litigation practice and our IP team has vast experience in assisting clients with disputes in all matters of intellectual property including trade marks, passing off, copyright, designs and patents.We operate in tribunals as well as in the Higher Courts resolving Inteleectual property disputes.